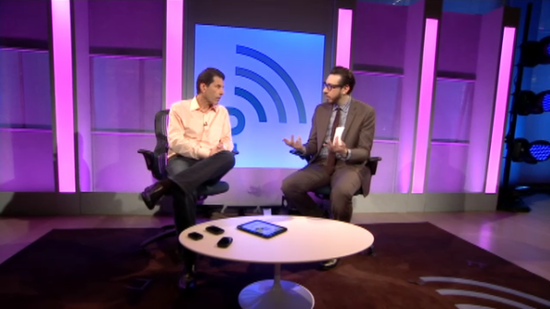 If you somehow missed that Jon Rubinstein, Palm GBU Vice-President, was on the Engadget show not too long ago, you no longer have to live life not knowing what was said in the brief interview. We've already pretty well covered the more interesting bits that they discussed on the show, but just in case you want to watch the whole thing yourself, Engadget has released the full video for viewing online. The three things that we got out of the meeting (other than the usual good-natured talk about the future of webOS) are those about expanding the Touch-to-Share technology (to the Veer?) for the TouchPad, running webOS in a window on the PC, and whatever fun they're working on with another iteration of iTunes Sync. Check out all of that and more by watching the video just after the break. Source: Engadget Show | Thanks FliedLice!